Having rats and mice in your house can be a nasty business that we all want to avoid quickly and efficiently. Using rat baits such as ‘talon’, ‘ratsak’ and ‘tomcat’ to resolve the issue is generally everyone’s first treatment of choice, however, this can lead to greater problems for our canine friends. When ingested, these products have the same effect on dogs as they do in rodents. Rat baits contain chemicals that decrease the clotting ability of blood, and as a result, the pesty rodents die. Ingestion of poison by our pet is never intended, but happens very easily and frequently, and unfortunately they end up with the same fate. Your dog’s blood would normally take less than a minute to clot, but after taking some of this nasty bait it can take over 5 minutes, and in this time a great deal of blood can be lost through tiny capillary leakage, and the end result is not nice for your canine friend. Rodenticide toxicity in dogs usually presents to the veterinary clinic in one of two forms. Acute toxicities occur when an owner has seen or has evidence that their pet has eaten rat bait recently. When taken to the veterinary clinic the vet will give the dog a drug which to help make them vomit. This allows a visual diagnosis is to be made by visualising the bait/toxin. Acute toxicities are less likely to have adverse effects on the dog, as much of the toxin can be removed from the dog’s body, and medication can be started immediately. 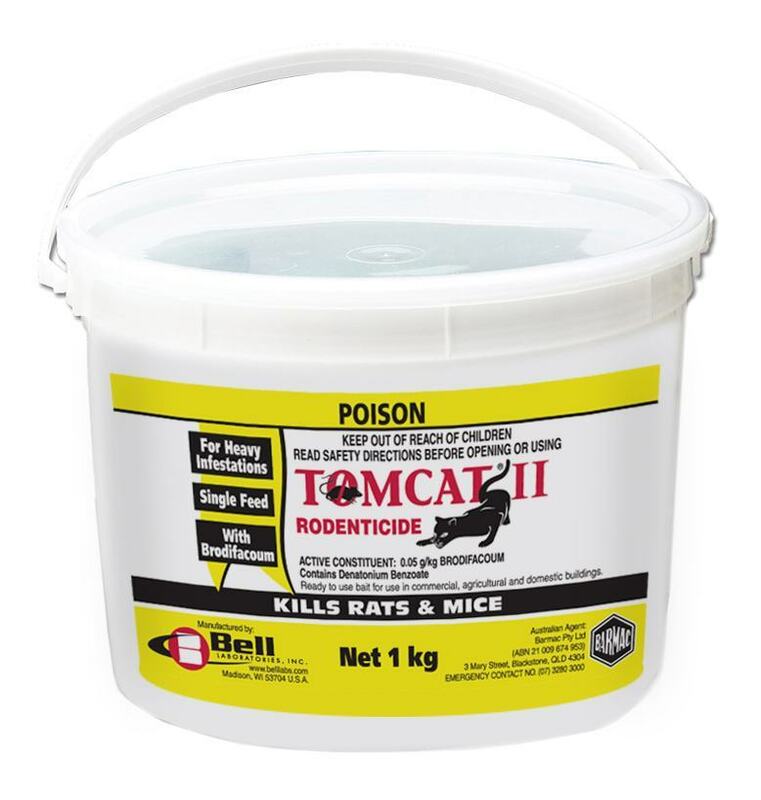 The medication used to treat rodenticide toxicity is vitamin k. This prevents the anti-clotting effects of the rat bait toxin. The duration of treatment depends on the type of rat bait that was ingested, as the coagulation system can be affected for weeks to months after ingestion. The second type of poisoning commonly seen is Chronic Toxicity. Chronic toxicities are toxicities that have occurred several days prior to presentation, unbeknownst to the owners, and can be very life threatening. Symptoms of ingestion include an acute collapse, weakness/lethargy, breathing difficulty, exercise intolerance, frank blood in urine or faeces, pale gums and coughing/vomiting up blood. Accurate diagnosis is made by checking time taken for the dog’s blood to clot. These type toxicities require intensive veterinary care and hospitalisation for many days and thus can be quite expensive. Treatment includes, fluid therapy, antibiotics, intensive monitoring and in some cases a blood transfusion. We all want to keep rodents out of our house, but if we have pets around treatment must be chosen carefully. Mechanical traps can be annoying, however they are a safe option for everyone involved. If your dog does happen to ingest some bait, treatment can be straightforward if it is started early and damage to the circulatory system is not extensive. If you are unsure if your dog has consumed the bait, or if you notice any of the above signs and symptoms, don’t hesitate to contact us at the Gray Street Veterinary Clinic immediately.